As the dark evenings draw in and the festive season starts what better way to go and spend an evening watching a film at Everyman York. With its luxurious and warm interior guests can enjoy a film in blissful surroundings. As soon as you walk into the venue you are greeted by a prestine 360 degrees bar which stocks a list of fine wines and ales. 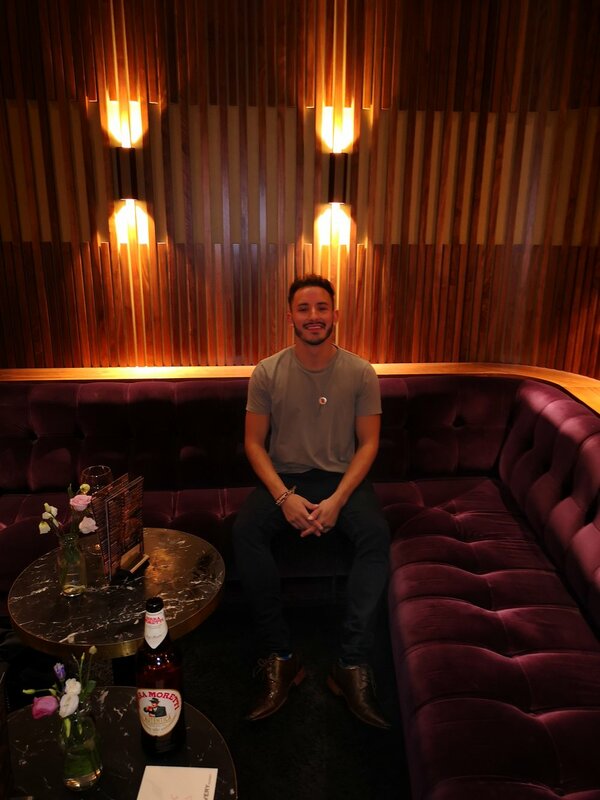 There is choice of 11 cocktails including a Passionfruit Daiquiri, Frozen Pina Colada, Everyman G & T and many more which can be made by one of the bar staff. Beverages can be consumed in the cinema screening itself. Providing a new experience for customers. Fancy a bite to eat? Customers can also dine in the cosy onsite restaurant. With a choice of burgers, pizzas and sharing plates, there is surely something for everyone. 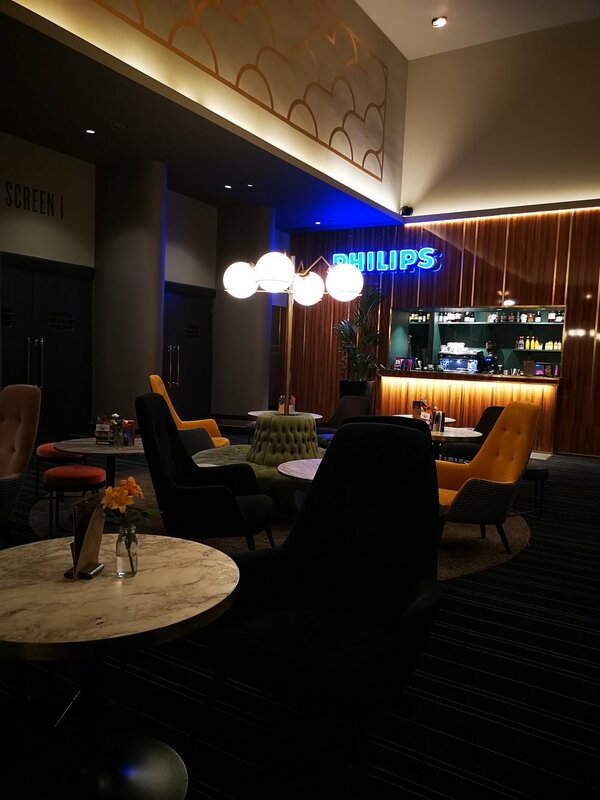 Sweet treats include a choice of premium popcorn, cakes and hot drinks..
Cinema goers can also enjoy a pre or after cinema drink and relax in the comfy surroundings of the lobby or one of private booths. Another view of the bar which is on hand to serve an array of drinks. Prior to the film starting an usher will introduce the screening and let customers know that table service can be provided during the film. 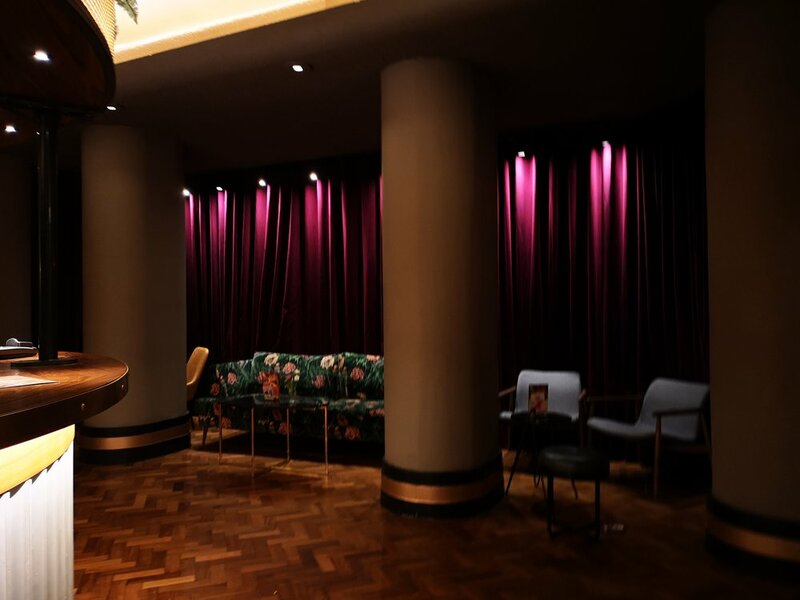 Customers can expect more of the same in the cinema screening itself, we will keep some details private so not to spoil all of the surprises for our readers..
Everyman has created a spectacular venue which creates the ultimate experience for cinema lovers. Offering the best of food and drink in its opulent, classy and warm surroundings. We have given Everyman York the highest rating of 5 stars for its excellent user experience.